5、Character: It is white crystal or powder, odorless, tasting salty. It’s slightly deliquescent, easily soluble in water or glycerine, almost insoluble in ethanol. Relative density is 1.98. It will melt and decompose when heated to 230 ℃. 6、Usage: In food processing industry, it is used as buffer, chelate agent, stabilizer, antioxidant, emulsifier and flavoring. It can be used in dairy product，jelly, jam, meat and tinned pastry. It also can be used as emulsifier in cheese and refreshing in oranges and etc. 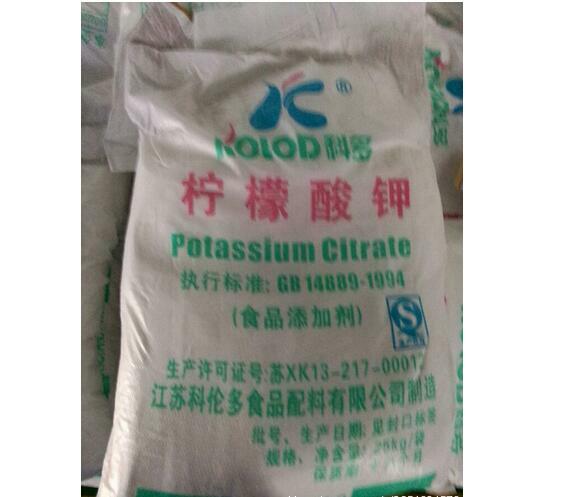 In pharmaceutical, it is used for hypokalimia, potassium depletion and alkalization of urine. 7、Packing: It is packed with polyethylene bag as liner and a compound plastic woven bag as the outer layer. The net weight of each bag is 25kg.